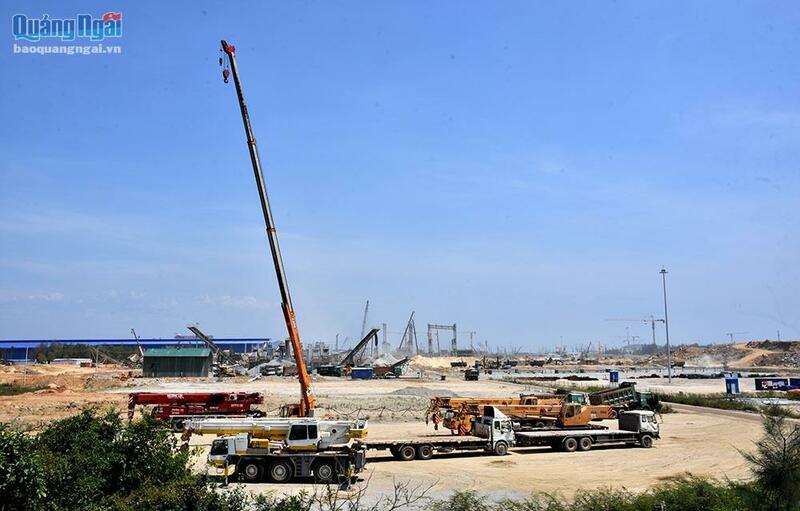 DANANG – The Hoa Phat Dung Quat Iron and Steel Production Complex is planning to begin production by the fourth quarter of 2019, providing an estimated four million tons of steel per year, for use as mainly construction and hot-rolled coil steel serving local markets. 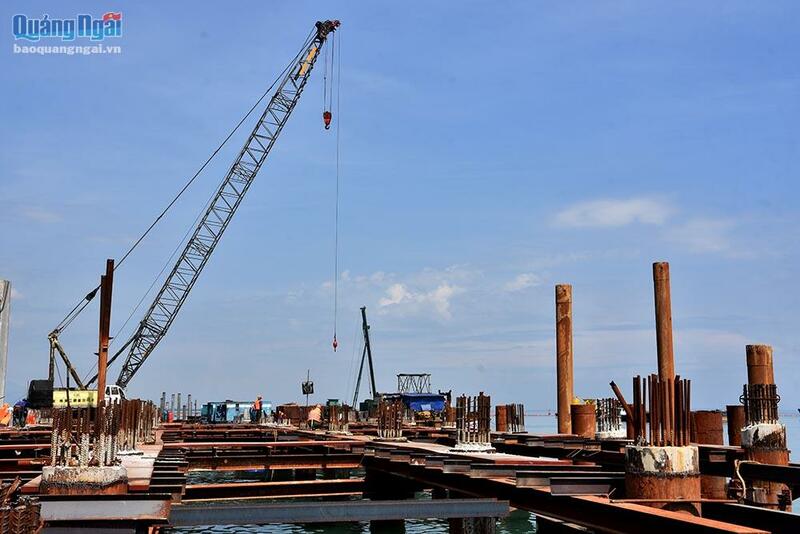 At a press briefing at Dung Quat Economic Zone in the central province of Quang Ngai on July 26, a representative of the iron and steel complex said that in mid-August, the first steel products will be manufactured. In the first quarter next year, when the first phase is put in place, the steel mill will have a production of two million tons of steel per year, mainly building steel, the representative noted, adding that two million tons of hot-rolled coil steel will be turned out in the second phase at the end of 2019. Production materials include ore and coal imported from Australia and South Africa. 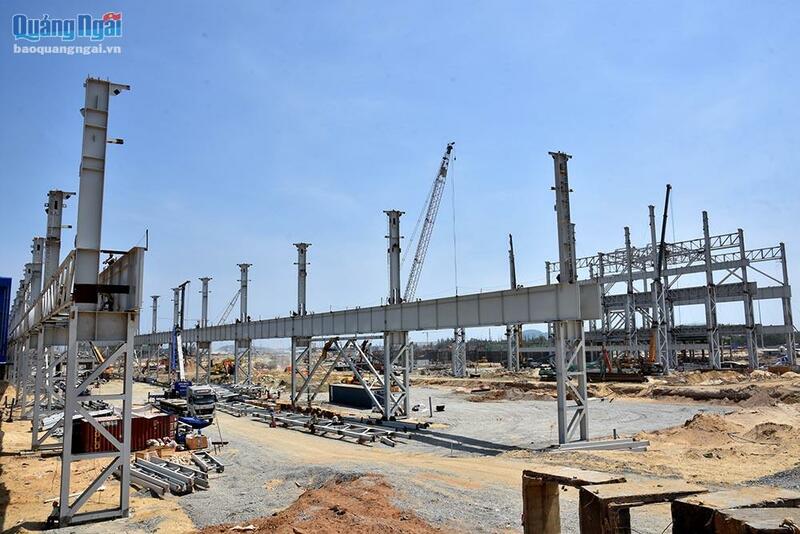 The Hoa Phat Dung Quat Iron and Steel Production Complex, invested in by Hoa Phat Dung Quat Steel JSC, a member of Hoa Phat Group, cost VND52 trillion. The steel complex includes the mill, using a steel furnace and a blast furnace with European-standard technologies, and a deep-water seaport system. In September 2016, the government of Quang Ngai Province terminated the Guang Lian Dung Quat steel mill project following 10 years of delays. It is known that the project was assigned to Hoa Phat Group to continue the investment.